After investigating the devastating effects of Vietnam War, Magali An Berthon now explores the richness of Laos culture. The Traditional Arts and Ethnology Centre (TAEC) is rooted in the quiet hills of Luang Prabang, a unique UNESCO World Heritage city blessed with lavish Buddhist temples and splendid landscapes. Co-founded by Tara Gujadhur and Thongkhoun Soutthivilay in 2006, the space combines a museum, an anthropology research center, and an active educational platform. The two directors share their experience of running an institution dedicated to Laos' ethnic groups and cultural traditions. C360: What is the story of the Traditional Arts and Ethnology Centre's foundation? Tara Gujadhur: The Center was founded by myself and Thongkhoun Soutthivilay who now serves as Co-Director. I am an American with an anthropology background and fifteen years’ experience in indigenous community development and sustainable tourism in southern Africa and Southeast Asia. Khoun is a Luang Prabang native. She was trained in Japan, the Netherlands, and Thailand. She then worked at the Luang Prabang National Museum for over ten years as Collection Manager and conservator. We were friends first, and when my contract as a sustainable tourism advisor with a development agency was ending, I approached Khoun with the idea of opening a centre where people could learn about the ethnic groups and their handicrafts. 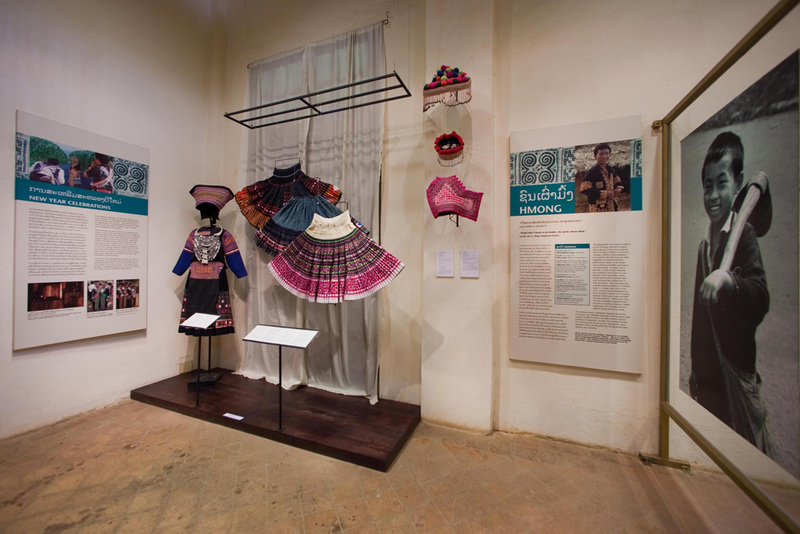 With her museum background, the project evolved into an exhibition space and a handicraft organisation. We found a location in mid-2006 and TAEC opened its doors in July 2007. C360: Could you elaborate on TAEC's project? 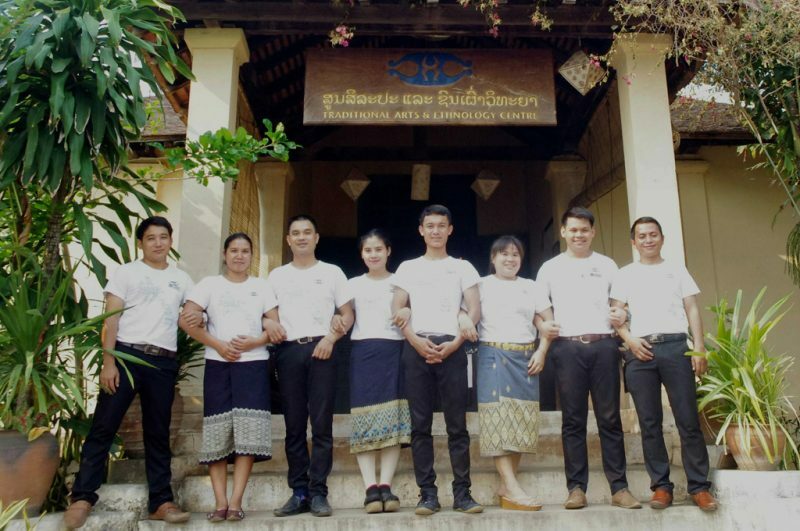 Tara Gujadhur & Thongkhoun Soutthivilay: The Traditional Arts and Ethnology Center is a heritage organisation and social enterprise in Luang Prabang, Lao PDR. It is the country's only independent museum and resource centre dedicated to the preservation and interpretation of the traditional arts and lifestyles of Laos' numerous ethnic groups. Our goal is to raise awareness about these communities, safeguard their tangible and intangible heritage, and promote their sustainable livelihood development. Today, TAEC is engaged in a broad range of activities including exhibitions, educational programmes, and research. We encourage locals and especially the young ones to learn about Laos’ ethnic diversity by offering free admission to all Lao citizens and running school activities and student tours. Every January we have an annual meeting to look at how we did the year before, and start planning the upcoming year. Usually there is a two year lead-up for new exhibitions, whereas workshops and talks might only be a few months of planning. It also depends on financial and staff resources. This year we have a Belgian researcher with us, so we are able to do more outreach activities and talks and events. C360: TAEC is a hub that connects anthropologists, researchers, tourists, and Lao ethnic communities. Does this diversity of audiences get to meet? G. & T. S.: Yes, absolutely. TAEC is an active participant in international ethnology and traditional arts scholarship, and has presented several conference papers in South East Asia and in the USA. The idea is to link the more academic research with locals and tourists’ learning experience. We are a small team, so everyone works together on a number of projects. To date, TAEC has welcomed over 120,000 Lao and international visitors, and has emerged as a regional leader in cultural heritage management. Foreign tourists usually hear about the Centre in a guide, a website or from other travelers. Few locals visit TAEC on their own initiative. Many are reluctant to enter as they see it as a site for tourists or foreigners, an assumption we have sought to correct. To be properly engaged in the material, they need some facilitation. For the past three years, we have also held a summer kid’s programme, giving local children an opportunity to experience cultural activities such as pottery making and weaving. C360: At TAEC you also support rural handicraft. In your opinion, can crafts be an invaluable solution for Laos' future, on an economic, cultural, and social point of view? G. & T. S.: Crafts have become a huge part of our work. We see it as the opportunity to help rural artisans —particularly ethnic minority women, a poor segment of society— to earn money based on ancestral skills that allow them to stay in their community. It also encourages people to continue to practice these crafts, and young people to want to learn the know-how. On average, fifty percent of TAEC’s Museum Shop’s income goes directly to the handicraft producers themselves, and provides over 600 ethnic minority women, men and their families in twelve provinces with supplementary income. TAEC has also supported artisans from different areas to visit Luang Prabang to participate in cultural exchange activities. C360:- Finally, could you tell ASEF culture360 about your projects and big dreams for the future of TAEC? G. & T. S.: Many! Our big dream would be to open a larger museum with outdoor space displaying traditional homes, allowing artisans to come on residencies to Luang Prabang and teach young people their skills. 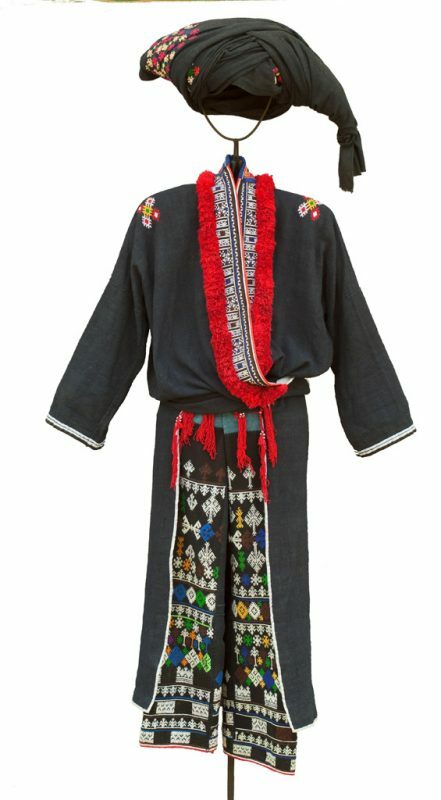 The TAEC permanent collection consists of over 400 objects from thirty ethnic groups that are documented and preserved for future generations. We would definitely like to expand our collection, but this is an area for which it is difficult to get funding! Projects on our horizon are a new exhibition opening in September called “Seeds of Culture: From Living Plants to Handicrafts” for which we are also developing new handicrafts products to accompany the exhibit. We also started to focus on music and sound in our collection and to document our instruments. These will form the basis for our next exhibition on traditional music. And we also hope to form a village handicraft team who will regularly visit our producers and work with them on developing new products, and improving communication.